When you’ve bought more than you can put up in a reasonable amount of time what do you do? You adjust you plans and try something new. And, that is just what we did. With 3 flats of peaches sitting in our cold room we decided after jarring most of them in extra light syrup we would try something new. 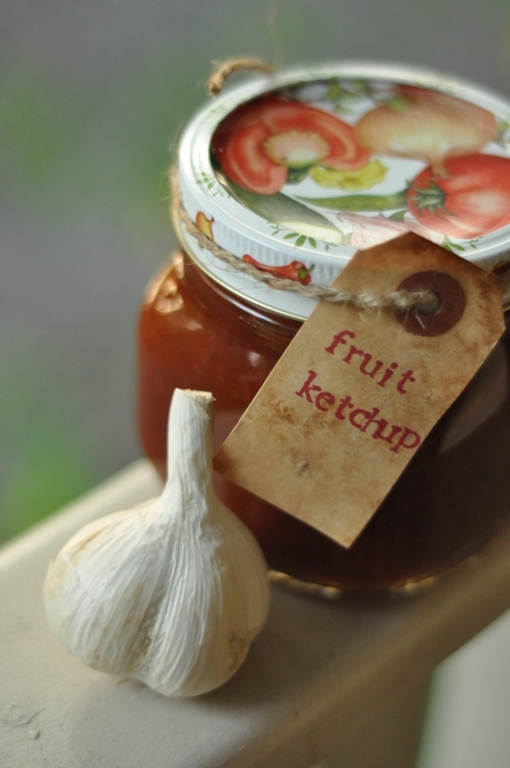 FRUIT KETCHUP ~ the recipe we used was from the Bernardin Big Book. It tastes a little more like barbecue sauce than ketchup but it will have a number of great applications…on meat, meat, and more meat! Here is a pic of the finished product….